Oxford United WFC have confirmed that the club has not, at this stage, applied for a WSL licence for the next two seasons. It is an understandably cautious approach as they have elected to wait to decide at what level they will best be positioned to continue to compete, once they know more about how the top tiers will look in the future. “…there will be a subsequent opportunity in March to reconsider our position. 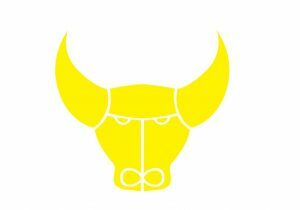 “We are committed to investing in and developing Oxford United WFC but we are awaiting further information on the composition and structure of the competition. It is very sad that the FA have created an environment where clubs feel they are unable to commit to applying. Watford, Sunderland and now Oxford. I am sure there will be more to follow. The FA are damaging the women’s game that so many have worked tirelessly to build often without any financial backing. Mens clubs now control the destiny of women’s teams creating instability for players, management and fans. Katie Brazier was more than happy to talk and talk about the plans when launched but has become invisible since clubs have started to fall by the wayside and her silence is defeating. Maybe she and the others in their plush Wembley Headquarters don’t like questions that require real answers instead of reading off a script. No wonder footballs don’t trust the FA to do the right thing. They should be hanging their heads in shame!